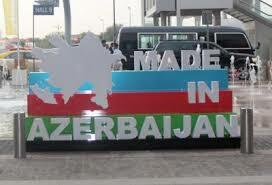 Trade With Azerbaijan Decreased: Trade volume between Pakistan and Azerbaijan decreased to $26.88 million from $58.26 million in the preceding year. As per commerce ministry, the reason of decline in trade volume is mainly due to drop in rice exports from $45 million to $ 21.1 million. “A concerted effort is needed on both sides to increase the trade volume and economic cooperation,” Pervaiz Malik, minister for commerce and textile said at a meeting with Ali Alizada, ambassador of Azerbaijan. Import of non-ferrous metals, oil and oil products, canned fruit juices, raw cotton, liquefied petroleum gas from Azerbaijan. “There is need to increase the business-to-business and government-to-government interactions and exchange of delegations to identify the business opportunities that will in turn result in increasing the trade volume. The government has prepared a five-year trade cooperation plan to enhance and diversify trade with the central Asian state. “The plan that has been shared with the ministry of foreign affairs for onward transmission to the relevant authorities of Azerbaijan for their comments but response from Azerbaijan side is awaited”, shared the ministry. Azerbaijan ambassador said that Pakistan is a lucrative market for investors. He also agreed with the minister’s proposal for increased interaction and institutional arrangements to discuss trade related issues and identify areas of interest to boost bilateral trade and cooperation. The Ambassador of Romania, Nicolae Gola while meeting Pakistani commerce ministry officials stated emphasized to boost the trade relations with Pakistan as Romania is an important trading partner of Pakistan within the European Union region. Pakistan’s bilateral trade with Romania was $97.25 million in 2016-2017. Pakistan’s exports were $21.23 million while imports were $76.02 million. Both sides agreed on making institutional arrangements for addressing trade related issues and identifying business opportunities.